After last week's devastating defeat to undefeated Manheim Central, the Lampeter-Strasburg football team was looking for a win in last night's match-up against winless Ephrata. And oh boy did they get it as the Pioneers beat the Mountaineers 61-6. Next week the Pioneers travel to Solanco to face off against the Golden Mule rival on the gridiron. 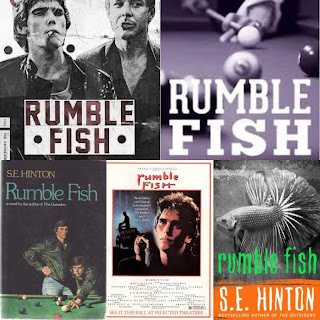 I recently finished reading Rumble Fish written by S.E. (Susan Eloise) Hinton and published in 1975. The book starts with Rusty-James on a beach and he runs into an old friend of his that he hadn’t seen in years, Steve. That’s when he flashes back to everything he and Steve had done and been through when they were kids. Rusty-James’ memory is all messed up, and he barely ever remembered much from his childhood, but seeing Steve made everything come back to him… and that was probably for the worst. Yesterday, the Lady Pioneers shut out Annville-Cleona, 7-0 in tennis. Here are the results of the match. Singles: Larson Kessler,Lampeter-Strasburg, def. S Bretous, Annville-Cleona,6-0, 6-0.Singles: Erin Harnish,Lampeter-Strasburg, def. Alyssia Rivera, Annville-Cleona,6-1, 6-1. Singles: Rachel Marcroft,Lampeter-Strasburg, def. Molly Beidler, Annville-Cleona,6-0, 6-1.Singles: Isabelle Brown,Lampeter-Strasburg, def. E. Speck, Annville-Cleona,6-1, 6-0. Doubles: Larson Kessler and Rachel Marcroft,Lampeter-Strasburg, def. S Bretous and Alyssia Rivera, Annville-Cleona,8-0.Doubles: Erin Harnish and Isabelle Brown,Lampeter-Strasburg, def. Molly Beidler and E. Speck, Annville-Cleona,8-2. Doubles: Nora Holmes and H. Dawson,Lampeter-Strasburg, def. A. Bellach and A. Carullo, Annville-Cleona,8-0. Yesterday marked the start of the 93rd annual West Lampeter Community Fair. While the fair official opened at noon, the real fun starts later that night with the Tractor Parade at 6:30 pm. Immediately after that is the Fair Queen Parade. The parade begins at the high school and ends at the fairgrounds. Megan Mellinger from the Garden Spot FFA was crowned as fair queen with Greta Bennett as runner-up. Last year's winner was McKenna Kimmel. You can view all of LS News Fair Queen and Tractor Parade fair photos here. On Wednesday, September 20, the Girls Soccer team traveled to Cocalico to try and maintain their newfound streak of victories. Fortunately, both teams ended up winning with a score of 2-1. 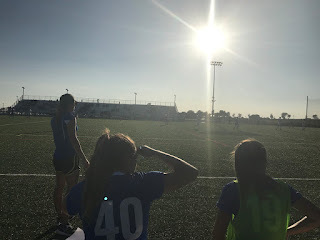 The Junior Varsity game saw the addition of Alyssa to compensate for the recent loss of their midfielder, Sara Boyd, whom is out with an injured ankle. Even with their normal five substitutes, however, the JV players couldn’t seem to catch a break between the sluggish aura suffocating the team and the unrelenting and ruthless heat. Many felt themselves not playing as well as they knew they should’ve been and grew increasingly frustrated and stressed as the game wore on. Getting to know Robin Hood The legendary heroic outlaw in green Robin Hood (played by Brendan Massar) with his band of Merry Men (played by Sean Burke, Ethan Bare, Logan Emmert, Pierson Castor, Steven Greenwood, Rowen Krantz, and Wesley Leaman) are Nottingham's last line of defense from greedy Prince John (played by Braeden Weaver), evil Sheriff of Nottingham (played by Matthew Monroy), and posse of dimwitted guards (played by Nick Blair, Nolan Davidson, Rowen Krantz, and Wesley Leaman) as they attempt drain every last cent from the already poor townsfolk and usurp the throne for Prince John from his absent older brother Richard the Lionheart who is off fighting in the Great Crusade. This year marks the 93rd annual West Lampeter Community Fair. The fair begins today and runs until the Friday. Community members are encouraged to attend and participate in the activities of the West Lampeter Fair, an annual event that includes all types of exhibits, animal showing, Lampeter-Strasburg School District's Fair Queen competition, food, and renowned milkshakes. It takes place on the Lampeter Community grounds, behind the Fire Hall, and is quite looked forward to by locals and visitors alike. 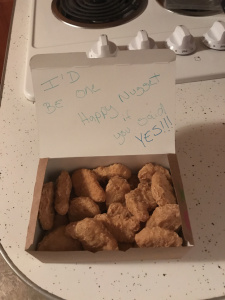 I'd be one happy nugget if you said YES!! In My Own Words In this installment of In My Own Words, Gabby Harner talks her homecoming proposal experience. Last Tuesday, I was at my house when all of a sudden my dog started barking repeatedly. I looked around the front porch but did not see anything. I didn't think much of it as the dog barks every time someone walks by the house. I decided to continue watching my little brother for my parents until they were done doing yard work outside. A few moments later, I look up from the couch and see a blob of purple. I did a double-take to see my boyfriend standing there and my parents behind him. I quickly stood up and saw that he was holding something in his hands. I stood there, shocked. I didn’t know what to say. I then said, "Yes!" hugging my boyfriend tightly and so excited to be asked to the homecoming dance. Yesterday the Cross Country team traveled to Garden Spot where both the boys and girls teams defeated the Spartans.